Personalize the center punch out region with your pizzeria information and the corners can be utilized for coupons. Grab double benefits from these customized 6x6 round corners circle picture frame pizza magnets. Most people who receive these pizzeria marketing magnets would love to happily retain them over their refrigerator doors or visible surfaces within homes or offices. Pizza marketers can stay back with the content of offering more than just plain business information to their customers. 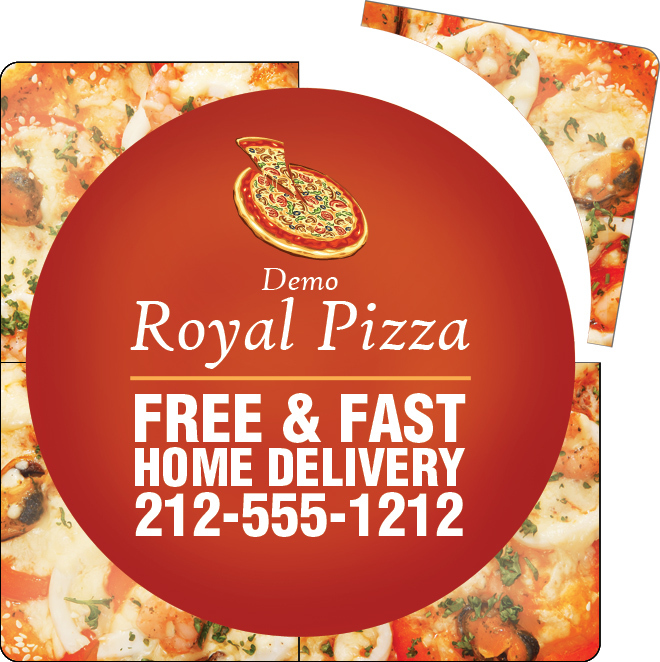 Request a quote to know price benefits for these promotional 6x6 round corners circle picture frame pizza magnets. Product Size :6 in. x 6 in.